In addition to companies that issue checks, over 90 percent of small business owners accept checks. If your customers prefer this payment method, it's important to make sure their checks are valid. There are no set rules regarding check expiration dates. Banks set their own policies. Reports of fake checks to the Federal Trade Commission is in the tens of thousands every year. And, that number has gone up over the past three years along with dollars lost. This does not include stale checks — legitimate checks that may be so old they’re no longer valid. Even though the number of payments made by check has declined, many business customers still use this payment method. Companies prefer checks because they provide more information than electronic payments do. Additionally they take longer to process, which creates a liquid advantage. In the time between issuing a check and it actually being debited from their account, a company has more cash on hand. 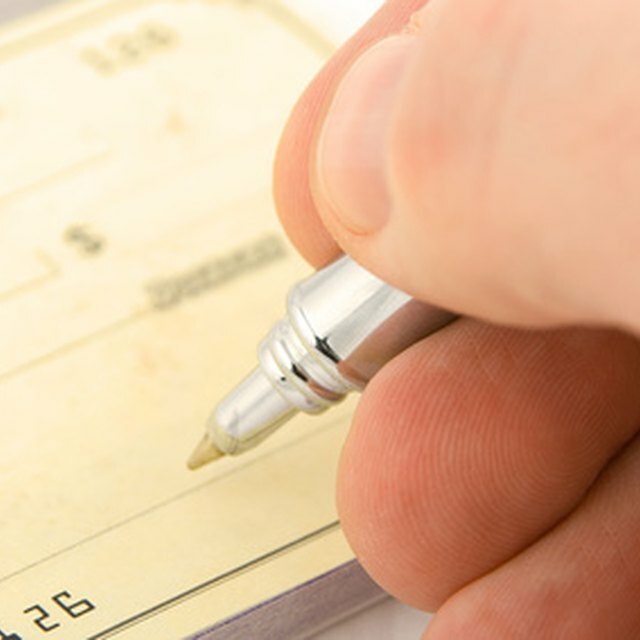 It's not uncommon to misplace a check or forget about it altogether. Once it resurfaces months or even years later, it may or may not still be valid. Banks are not required to process checks that are older than six months. Bank of America’s stale check policy states that they may still pay a check that's dated more than six months ago, unless the issuer has placed a stop payment order on it. In general, it's up to the bank's discretion to approve or decline a stale check. Large corporations typically print expiration dates on their checks. This allows them to better manage their cash flow. For example, they may include a statement with the check that specifies the check expiry date or simply print "void after 90 days" on a check. However, banks might not notice the date or choose not to comply with these terms. Small businesses, in general, are not as strict as large corporations regarding the checks they issue to their customers. Most times, they will include an expiration date or other special notes. In this case, the check becomes stale after six months. If you want to cash it, contact the bank and ask whether their policy allows it. Waiting is risky. The issuer may close its bank account, go bankrupt or stop payment on the check. According to the Uniform Commercial Code (UCC), there are no set rules regarding check expiration dates. This applies to both personal and business checks. Banks have the right to implement their own policies. Even though they are not required to honor old checks, they might choose to do so. If you have a stale check, simply call the bank and ask what its rules are. If the bank refuses to cash it, contact the account holder and request a replacement.